Project Blue Book – Of Abductions and Implants! Last nights show was mindblowing and if you haven’t seen it I would highly recommend it. You will be able to view it by going to the History Channels Web site. The story was sourced from the abduction of Betty and Barney Hill. The script took a lot of liberties with what actually occurred in regard to the Hill’s abduction. However, the show discussed J. Allen Hynek’s classification of UFO encounters. For those of you who are not familiar with Hynek’s classification, this will help get you up to speed. First Kind: Sighting of one or more UFOs at a distance of 500 feet or less. 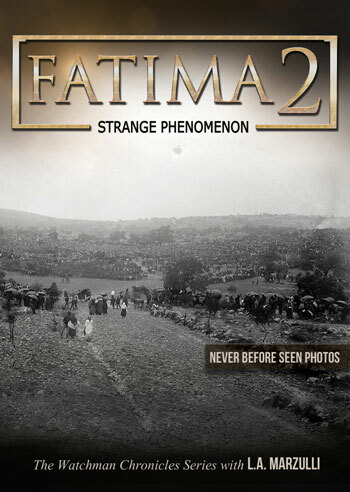 Second Kind: Sighting of a UFO with associated physical effects (e.g. heat, electrical interference, etc). Third Kind: Sighting of an animated being (presumably an alien but not specifically defined as such). The Hills were abducted. They were taken aboard a ship and probed and given what is now referred to in UFOlogy as a routine medical examination. However, in the show last night, Barnie’s character was also implanted. This is what I want to focus on. 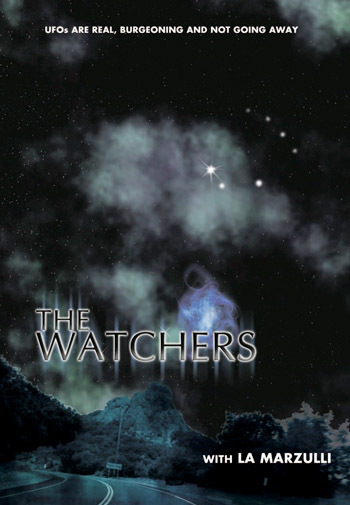 In our Watchers Series, we actually removed an implant. Here’s the story. 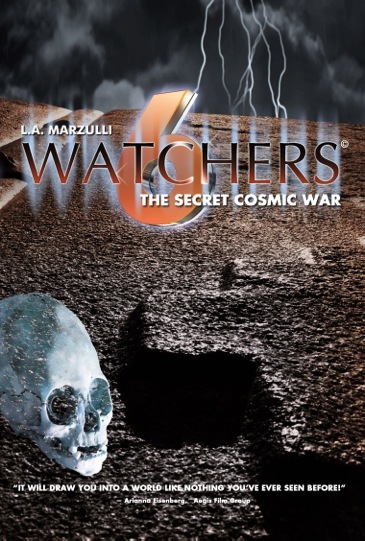 Richard Shaw and I filmed the removal of an implant from “Bill” in Watchers 8. Bill had claimed to have been abducted years ago by “aliens” and had an implant put in his leg against his will. For those of you who have seen Watchers 7, this was the follow-up to the X-rays, CAT scan, and Ultra-sound we did with him to determine the veracity of the implant. 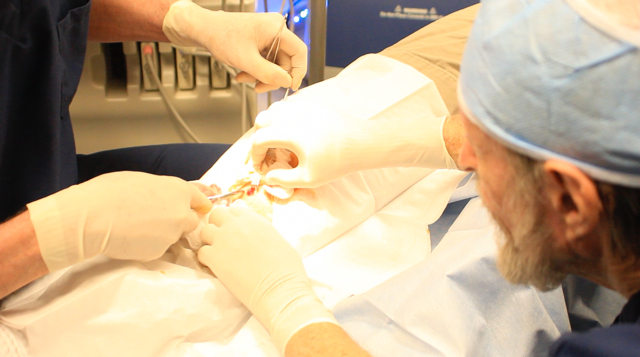 This was Dr. Roger Leir’s 17 implant removal. Dr. Matrisciano led the surgery and Dr. Leir assisted. We had three cameras going throughout the entire process and the images you are about to see are some of the stills from the operating theater. However, we were met with what I would call, “High Strangeness” in the operating room and here’s why. When Bill had the Ultrasound performed on him about a month ago, Dr. Matrisciano found it in about 2 minutes. He took the Xray from the folder and placed it next to Bill’s knee and then, using a black marking pen, made a dot on Bill’s leg in the approximate location of where he believed the implant was, based on the Xray. He then moved the wand from the Utra-sound machine over the area and it registered as the black vertical pillar-like mark you see in the first photo. Well, on Saturday, he couldn’t find the implant. 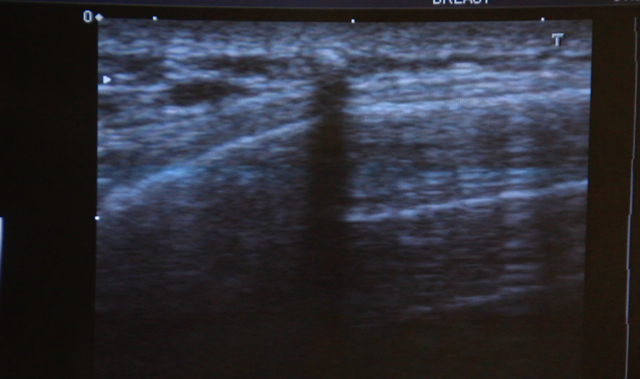 He moved the wand of the Ultra-sound machine over an area about 4″ X 8″. He went over and over the same place on Bill’s leg, and cross-referenced both the Xray and the Cat scan and to no avail. It was like the implant had vanished. Another very interesting fact was there was no reading on the Gauss meter, which is used to measure the magnetic field of an object. A month ago the Gauss meter had a reading of 7 milli-Gauss when placed near the object in Bill’s leg. On Saturday the reading was zero! To make sure the Gauss meter was working we moved it near Richard’s camera and sure enough, we had a reading of about 9 milli-Gauss. Something was wrong and Dr. Matrisciano was about to cancel the operation, or at least take Bill over to the hospital for more X-rays, as if he couldn’t locate the object he couldn’t remove it. I mentioned we encountered High Strangeness and here’s why. There was no sign of the implant and we began to wonder if it had been removed. We also found it very odd that there was no reading on the Gauss meter. This was a baffling set of events. At this point, I felt prompted to pray out loud and so I told everyone in the room what I was about to do and then prayed a very simple prayer. Father, I ask that if something is causing the implant to “hide” itself you would expose it to us and do it soon. After about 5 minutes Dr. Matrisciano found it. (see the first pic) Now here’s what both Richard and I found exceedingly strange. The Doctor had been over the same area scores of time without the slightest hint of a reading and right after I prayed, he found the image, which was next to a small black dot he had placed on Bill’s leg, marking the approximate location of the implant based on the X-rays, at the beginning of the session. Then he spread the skin open and found the implant. Here are the Doc’s at work! Here is the implant after it was removed. 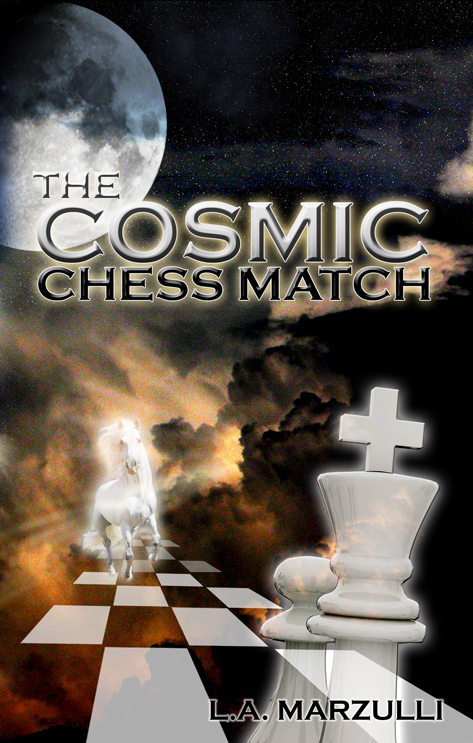 So here’s my take on what happened and it is based on my view that we are engaged in a cosmic war. In my opinion, we experienced supernatural warfare that I would label Warfare 2.0. 1. I believe the implant was switched off, as we could not get a Gauss reading on it. 2. Is it possible “they” knew we were going to take the implant out and shut it down? 3. If that is true then it means we were all being monitored by unseen forces. 4. After I prayed the object was located where a few minutes ago nothing appeared on the screen. 5. In my opinion, we were up against powers and principalities in an unseen dimension who yielded to a greater authority. This is based on the book of Ephesians. 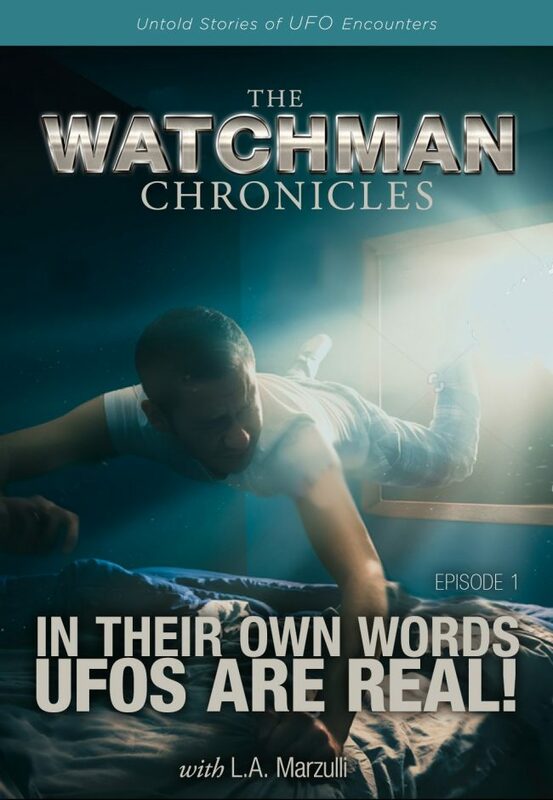 It is possible that they—think the fallen host of the heavenly realm—either messed with the Ultrasound machine or somehow hid or cloaked the implant so it could not be detected. 6. Once revealed, the object was then removed. I realize the skeptics will read this and scoff. However, I was there and I know what I saw. I know that I prayed and then the object appeared in the area where Dr. Matrisciano had gone over scores of times without any indication of it being there. In my opinion, the battle is real and ongoing. However, there is one who is greater and He showed up and revealed what had been hidden. This is not religion, it is being part of the ongoing war in the heavens and moving in the authority we have in Jesus. It is putting on the armor of God daily and battling principalities. We serve a mighty God who is able to reveal the things that are hidden…. NEW! 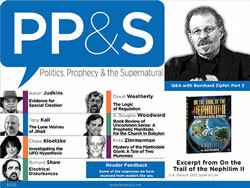 PP&S Report! UFO Encounter! This is disclosure of the so-called extraterrestrial presence. I was recently asked to speak at a church by a pastor. Some members of the board didn’t like the idea and wound up canceling the conference! Why is it that the church is so afraid to address what is right under our noses. Here’s the first chapter of my new book. With all that is happening you need to read it. Period. In December of 2017 I was watching Tucker Carlson on FOX news. Tucker comes on at 5 pm (PST) or 8 PM on the East Coast. 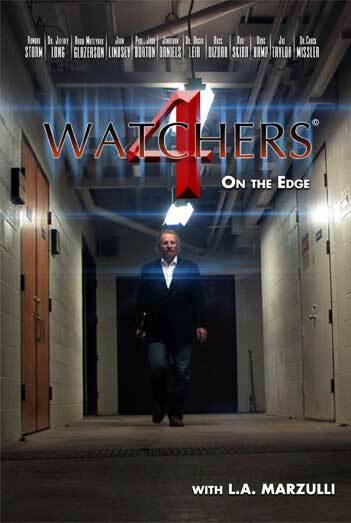 It’s a prime time show that is watched by millions of people. When I watch I’m usually checking email and listening with the other ear as it were, unless of course, something catches my interest. Well, something did catch my interest and in my opinion, it is/was a game-changer. At one of the commercial breaks, Tucker announced that his next guest was going to talk about UFOs. I immediately sat up, closed my laptop and was all eyes and ears on the TV. UFOs have been the stuff of conspiracy theories for decades. Often mocked for talking about it but maybe they shouldn’t be mocked. Commander David Fravor spent 18 years as a Navy Aviator Pilot. 2004 He had an unforgettable encounter with an aircraft he said was defying the laws of physics. Here Commander Fravor joins us tonight. Thanks for coming on tonight so tell us what you saw. So with that said Tucker introduced Commander Fravor, a former F18 pilot. The screen was spilt into two parts. Tucker on the far left, Commander Fravor on the right but once the interview got rolling, to my astonishment, a third panel was added putting Commander Fravor in the middle. On the far right appeared what was once classified footage showing a UFO… on prime-time television. T. C.: UFOs have been the stuff of conspiracy theories for decades. Often mocked for talking about it but maybe they shouldn’t be mocked. Commander David Fravor spent 18 years as a Navy Aviator Pilot. 2004 He had an unforgettable encounter with an aircraft he said was defying the laws of physics. Here Commander Fravor joins us tonight. Thanks for coming on tonight so tell us what you saw. D. F.: We had launched a routine training mission when we joined up we were told that the event was going to be cancelled and that we have real world tasking and sent out to the west. Now take in mind that this is taking place about 100 miles south of San Diego between San Diego and Encinada, Mexico on a clear perfect day blue waters. We get out to the spot where they tell us its at we start looking around and both airplanes see a disturbance in the water and a white 40 foot long tic tac shaped object just hovering above the water going forward, backward, left, and right theres no rotor wash theres no wings nothing. So as we drive around in a clock wise flow we get at about the 9 o’clock position and I said well Im going to go down there and check it out and the other jet is going to stay high. So as we go down and when we get to the 12 o’clock position it starts to mirror us so its in a clock wise flow and its in the opposite side of the circle from us and we continue this its in a decline we are in dissent. Were getting a good look at it this whole thing takes about probably up to five minutes from the time we show up. I get in about an 8 o’clock position its in about the 2 o’clock position and i decide I’m going to go and see what it is and its about 2,000 feet below me and I cut across the circle and as I get about a half mile of it, it rapidly accelerates to the south in 2 seconds and disappears. T. C.: Well what would you estimate the speed? D. F.: A well about supersonic it like a bullet out of a gun it took off. T. C.: So what you know about aerodynamics, mechanics, physics should this be possible what you saw. D. F.: Not with the technology that we have today not at all. T. C.: Even now even 13 years later is there anything that you know of capable of this kind of behavior. D. F.:No there is nothing I know of. I mean when you look when we saw the video with the IR it has no exhaust no discernible things of anything form of propulsion and this thing came from a dead hover over the water just kind of moving around to a climb up to about 12,000 feet to rapidly accelerating away in a climb in less than 2 seconds it was gone you figure your talking 50 miles of visibility and you can easily see it an object that size easily at the 10 miles and it just disappeared in seconds. T. C.: What would be the affects on a human pilot of the g-forces involved in that altitude change? D. F.: The altitude wouldn’t be bad it would be the acceleration of the object. Well honestly I wanted to fly it but I was talking to some physicists they don’t think the human body could handle that kind of force. T. C.: Yeah it doesn’t sound like the human body could. So bottom line what do you think this was? T. C.: Presumably you expressed that belief to your superiors what did they say ? D. F.: Actually, well we caught a lot of grief getting back to the boat and it got passed off as an event no one could explain now keep in mind that they had been tracking these for 2 weeks prior to us seeing it and this was the first time that manned airplanes had been airborne when the objects appeared. D. F.: Thank you very much Dr. So here we have a former F18 either pilot who is on a main-stream news agency along with “classified” film showing the UFO. We have his own words telling us that the craft, was not of this world. To reiterate, this statement was put out on a major news network during prime-time. This feels like a really big story to me and its not exactly clear why Vladimir Putin is more interesting than this I think this seems like a big deal. 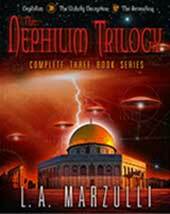 In my opinion and that of other UFO researchers what took place was DISCLOSURE of the so-called extraterrestrial presence. The FOX news piece was, as the late Chuck Missler would say, a managed agenda. This interview with Commander Fravor was not by accident. It was controlled, managed, manipulated and carefully orchestrated. The question is by whom? Commander Fravor is by all accounts and with all due respect for his service and dedication to protecting our country, a non-entity. He doesn’t have a book he’s written, he’s no one special, he’s not on tour talking about his encounter that happened over a decade ago, he’s not a regular on the news circuit. He’s not speaking at UFO meet-up groups. As I stated, he came from nowhere and winds up getting a long segment of prime-time minutes on a major news network! Who calls up the producers of The Tucker Carlson show and then asks or perhaps tells them they want to bring this former pilot on the show to talk about UFOs? How does Commander Fravor wind up with the “classified” UFO footage. Who releases it to him? You can see where I’m going with this… it’s a managed agenda. Their abduction is classic in the sense that they were levitated into the craft and then found themselves on a metal table where “experiments” were done to them including the insertion of a probe in their nasal cavities. Parker states that one of the entities who appeared to be female communicated with him telepathically. The entity told him not to be afraid. The men were then dropped off and when they “came too” they promptly reported their encounter to the local sheriff. This was big news in 1973, and I was 23 years old at the time but remember reading about it in the local paper. As usual, the story was managed by the media and most people poked fun at the story. A good example of how sightings and encounters with UFOs were managed is the new show on the History Channel, Project Blue Book. Now, it’s decades later and Parker who is ailing finally has written a book about his encounter. I’m going to purchase it and add it to my new library! So what are we to think about this? The bottom line for me is Parker’s book, as well as the article which was posted on the Drudge report yesterday, is part of the ongoing soft-disclosure of UFOs. In other words, the subject of UFOs has become main-stream. So how does the public react? With ambivalence. The church? The same. However, when they show up in a mile-wide craft it’s going to be the ultimate game-changer. Our world will change and change drastically. As Richard Dolan points out in his book, history will be looked at as B. D.—before Disclosure—and A. D.—After Disclosure. Here’s where I stand. Something is holding “them” back from fully manifesting. Is this “something” what we read about in 2nd Thessalonians? One thing is for certain. UFOs are real, burgeoning and NOT going away! Our Mission Statement: To expose the deception of the Prince of the Power of the Air and to herald the return of the King…Jesus! L.A. Appears on the X-Zone! 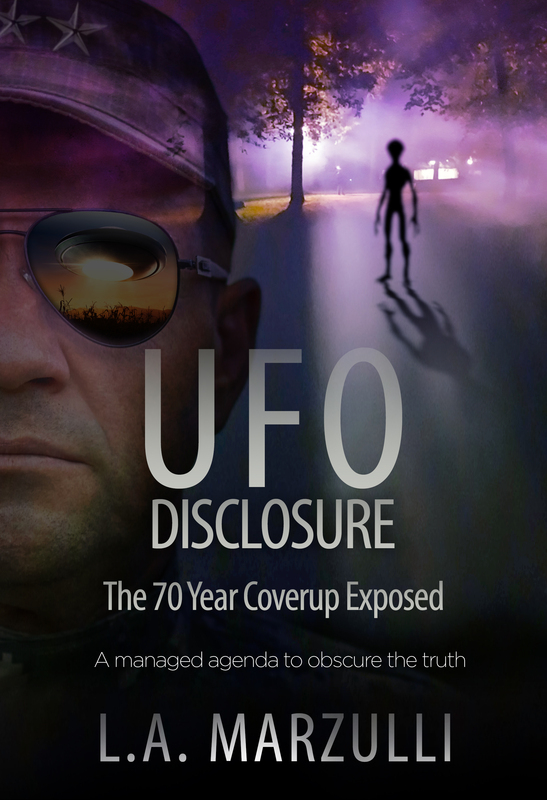 Rob McConnell and I discussed my new book UFO Disclosure – The 70 Year Cover-Up Exposed! Testimonies from the 1947 Roswell UFO crash. Encounters with hybrid beings and more! The Supernatural – The Mysterious Moundbuilders! I am astonished at what is hidden in plain sight all over America! I’m speaking of the enigmatic, ancient earthen mounds that are from Ohio to the Gulf of Mexico, referred to as Earthworks. These mounds are the subject of the first film in our new series entitled On the Trial of the Nephilim: Volume 1 – The Mysterious Moundbuilders. Who built these massive mounds and why? Where did the builders go and why is it that Native Americans don’t recall building them? In fact, Native Americans like Chief Joseph Riverwind insist that they didn’t build the mounds but that the giants—the Nephilim— built them! 150 years ago there was a spirited debate about the origins of the mounds. All of this came to an end when Cyrus Thomas decreed that the ancestors of the present day Native American tribes had built them but through the centuries they had forgotten that they had done so. This became the operating paradigm that prevails today in archaeological circles as well as academia in general. 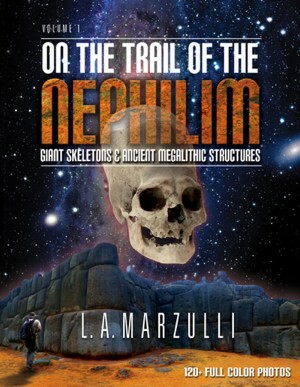 What is astounding is that any artifacts that would point to another paradigm including giant ax heads, giant spears, copper armor, stones with what appears to be paleo Hebrew engraved on them, or giant skeletons—like I found in the Catalina Museum Archives—are quickly dismissed and hidden away forever from the public eye. As we point out in the film, something just doesn’t add up. There are over 10,000 mounds in Ohio alone. Some of these mounds like the Great Circle Mound in Newark Ohio contain hundreds of thousands of tons of earth that were moved and compacted to create what still remains today thousands of years later! Are we supposed to believe that Native American’s built these earthworks with the primitive tools that are attributed to them? In the film we demonstrate just what this would take. We procured a replica of a primitive flint hoe that was used 6000 years ago and after hiring a fit laborer went out to an area near the second largest mound in the US—Poverty Point—and timed how much dirt would be needed to fill a bucket and then move that dirt to the building site. We calculated it would take over 26 MILLION single bucket-loads of earth to build the mound at Poverty Point which is estimated at just over 390,000 tons of earth! In our second film which is in post-production, as I write this, I hired Todd Willis a surveyor and engineer who found that the deep moat in the interior of the Great Circle Mound is essentially level! This moat is on the inside of the circle which is over 1200 feet in Diameter. Willis was amazed at the precision and wondered how a moat-like this could have been constructed thousands of years ago without the aid of surveying tools. 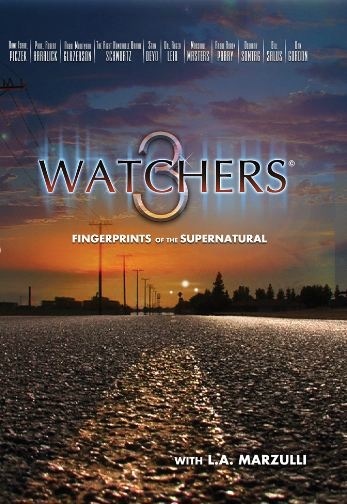 In other words, are we looking at what I would call The Fingerprints of the Supernatural? Let me explain. In my opinion, Native Americans did not possess the equipment or the mathematics to construct what we see in Newark Ohio. The Great Circle Mound is only part of the complex. We owe a debt to Squire and Davis who surveyed the mound complex over 150 years ago. Since their initial work many of the mounds were destroyed which makes the book that they published one of the only resources we have today which shows what these earthworks looked like thousands of years ago.. The complex which today is referred to as The Newark Earthworks had an incredibly large earthen octagon that can only be appreciated from the air. In the second film, I show the enormity of this earthwork as I flew the drone over 800 feet above the earth and was still not able to capture the entire edifice! There’s also another very enigmatic dynamic and it is this. The Octagon is not a simple octagon with eight equal sides, it’s an uneven octagon. According to the experts that appear in the film this means advance trigonometry may have been used in its construction. We know that Native Americans did not possess these advanced mathematical skills. Yet if I bring this up I am called a racist. Chief Joseph Riverwind states that the Tribes fought and killed the giants who were cannibalistic as well as sexually perverse, but he also points to the Serpent Mound where recent signage put their by Main Stream archaeologist tells us the Shawnee built it. Chief Joseph refers then to the Shawnee Chief, Chief Wallace who states that the Shawnee did not build the serpent mound! The Academics seem to have an agenda and they will not depart from their script no matter what evidence points to another paradigm. You may ask yourself what does this have to do with the Bible and why should we care? 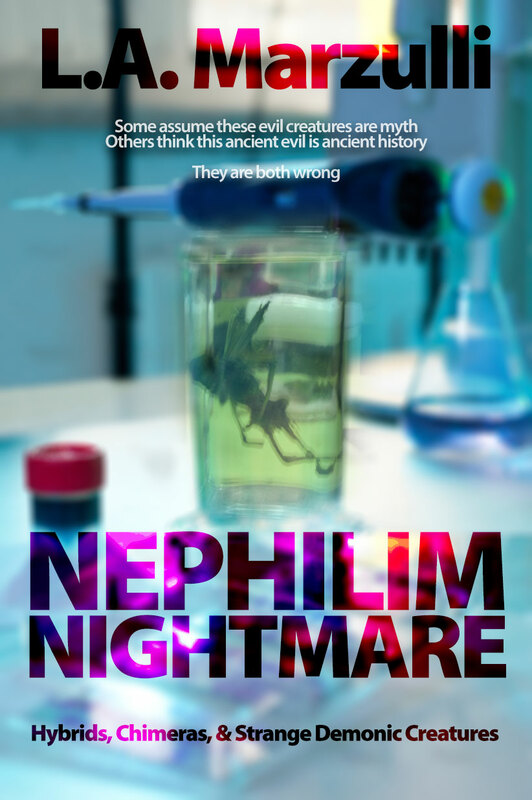 Simply put if these sites that we filmed at, like the Great Circle Mound or The Great Serpent Mound are remnants of what I would call Nephilim architecture or fallen angel technology then this points to a supernatural component responsible for constructing the mounds! We must consider this, the prevailing world view that is held in both academia and the scientific community, on a global level, is that of Darwinism. Darwinism has no place for the supernatural. There is no God, no miracles, no prophecy, no right or wrong, good or evil. This is in stark contrast to what we, as Bible-believing Christians believe. The Bible speaks of miracles like Jesus walking on water or Moses parting the Red Sea. 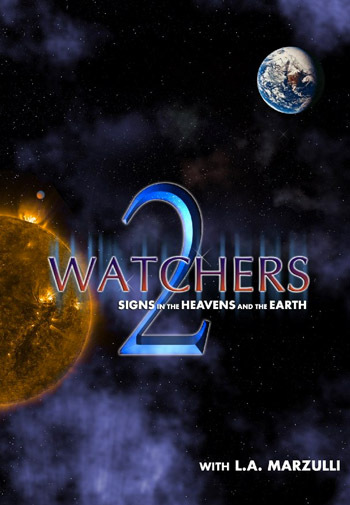 The Bible has a prophetic thread that runs throughout its pages from Genesis to Revelation that points to an all-knowing God that resides outside our time/space domain. The Bible speaks of a war between the Fallen Angel Lucifer or whom I prefer to call The Dragon, and The Most High God. Lucifer is a created being and his plan to enslave mankind was thwarted once for all time at the cross on Calvary by the Blood of our savior Jesus. That being said, I believe these mounds that are all over our country are in fact, the fingerprints of the supernatural and point to what Chuck Missler would call the mischief of the fallen angels. These sites have embedded geometry and many are built on an 18.5 lunar cycle. As we show in our film several of these sites can only be seen from the air. In other words, when someone is standing in let’s say the Octagon mound it’s almost impossible to see the entire Octagon from the vantage point on ground level. It’s the same with The Great Serpent Mound, the undulations of the serpent in the act of swallowing an egg cannot be really appreciated unless one is high in the air above it! 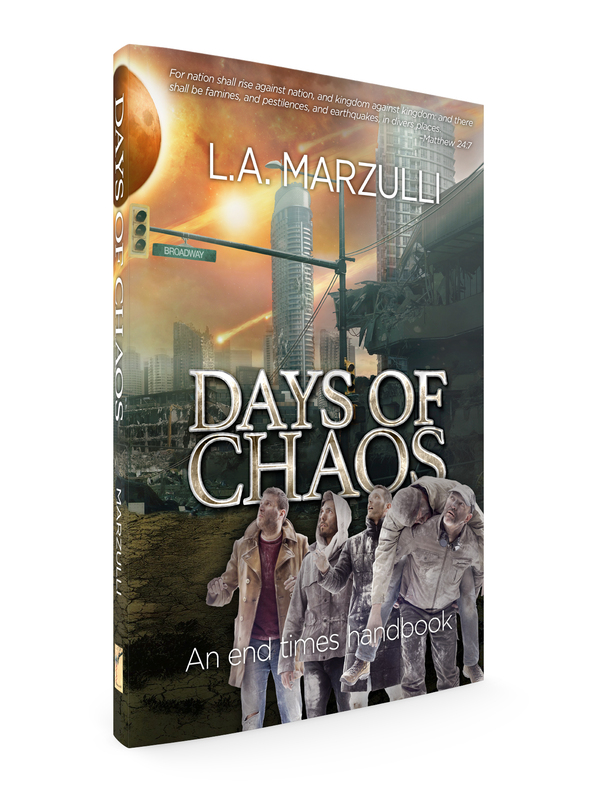 I hope to have the second installment in the series finished by the end of February. Lots more to come after that as we have hours of film! 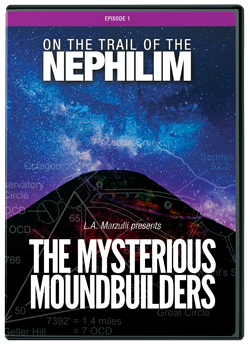 In only the way L.A. can bring it, On the Trail of the Nephilim-The Mysterious Moundbuilders is truly a new level in the documentary series. The added dimension of aerial photography takes me into what could be the mind of the builders. What were they doing? What were they thinking, trying to usurp the Throne? L.A. peeks into this world with tremendous insight and interviews with those in the know. 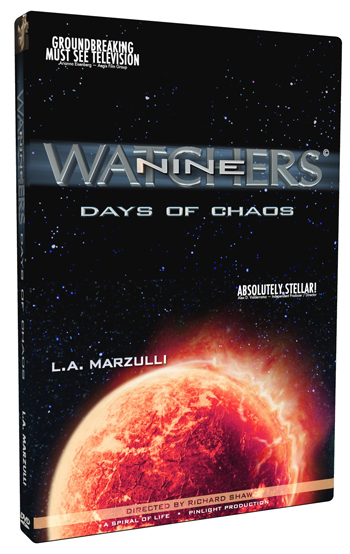 You will be on the edge of your seat waiting on every word. And he does not disappoint. 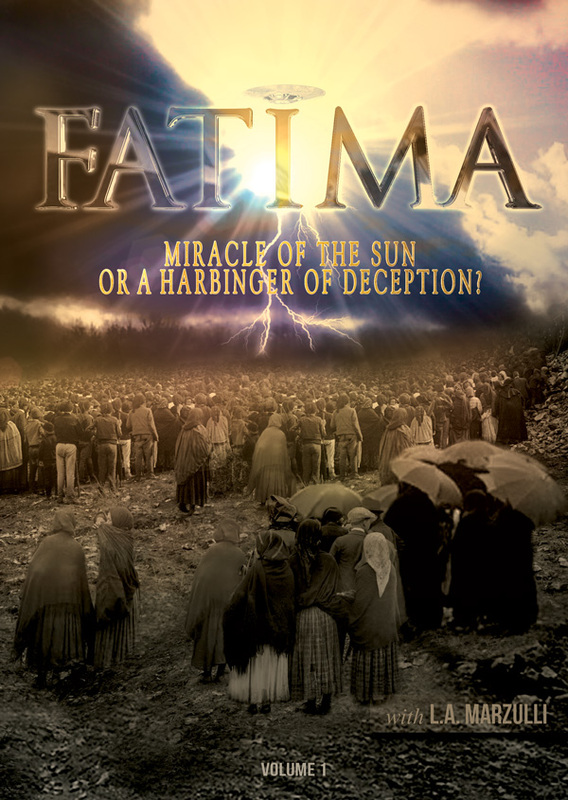 Do yourself a favor, get this magnificent work today! 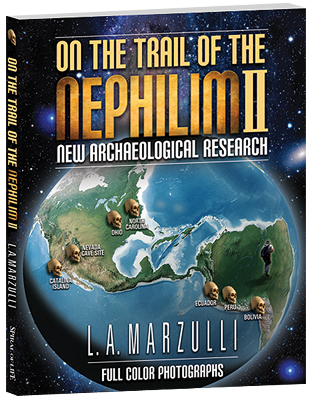 On the Trail of the Nephilim! The Mysterious Moundbuilders. Main Stream Archaeologist insist that the earth was dug with flint hoes and then moved one basketful at a time to create the huge mound at Poverty Point. I asked one archaeologist if this “theory” had ever been tested. He answered that he didn’t know! 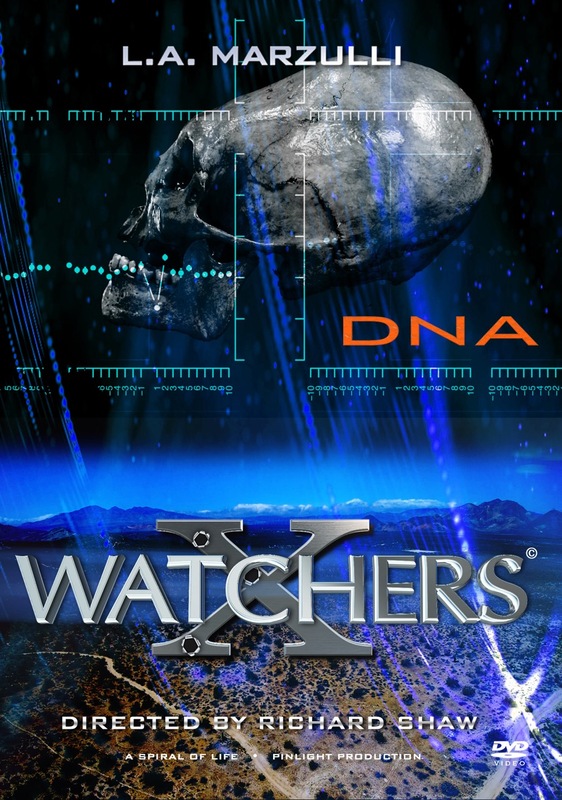 Rick Woodward is an archaeologist and an anthropologist. Rick knew of a flint-knapper who made replicas of primitive hoes for museums. We hired him and he created an exact replica of the hoe that was supposedly used to dig the earth to create the mound at Poverty Point. We then hired a fit laborer and went out to a location near the mound at Poverty Point to see just how the hoe would perform. We timed how long it would take to dig one bucket of earth and move it. We then calculated how many single buckets of earth it would take to construct the mound at Poverty Point. How does 26 MILLION SINGLE buckets of earth sound? Think about it… 26 MILLION buckets of earth. Something is wrong with this picture! There are 10,000 mounds in Ohio alone. There is advanced mathematics, solar alignments, knowledge of the solstices and equinoxes and some sites are built on an 18.5 lunar cycle, which means someone had to keep track of the moon’s waxing and waning for 18.5 years! Furthermore, some of the sites like the Serpent Mound in Ohio can only be seen from the air! Who is the Prince of the Power of the Air? 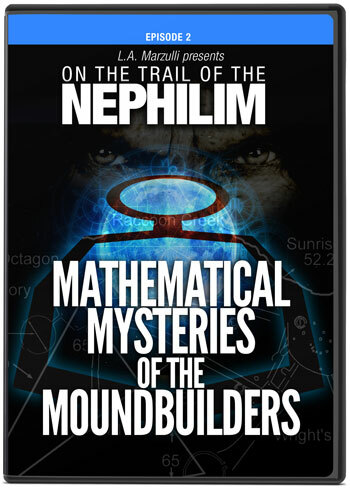 The Mysterious Moundbuilders is the first film in the On the Trail of the Nephilim series!